It can often feel like road construction is never-ending. Roadwork makes commuting and travel feel like a nightmare. In California, roads are continually being updated and expanded. The city, county, and California state government are all responsible for ensuring that routes are safe and in drivable condition. Regular maintenance is necessary to keep the streets in proper driving condition, and when they are not well maintained, it can lead to injury, accident, and even death. Roadwork can create confusion, and in some cases, chaos. Neglected and improperly maintained roads can cause damage to a vehicle or bodily harm to the driver. The entity who is responsible for the upkeep of the roadways is expected to be accountable for keeping them safe for drivers. Lack of signage warning of sharp turns, blind intersections, road construction, etc. When a driver gets on the road, they don’t expect to be seriously injured. Drivers trust public roads to safely get them to and from where they need to go each day. There are several factors involved in a roadwork accident including the scene of the accident, affected entities, and many other variables. 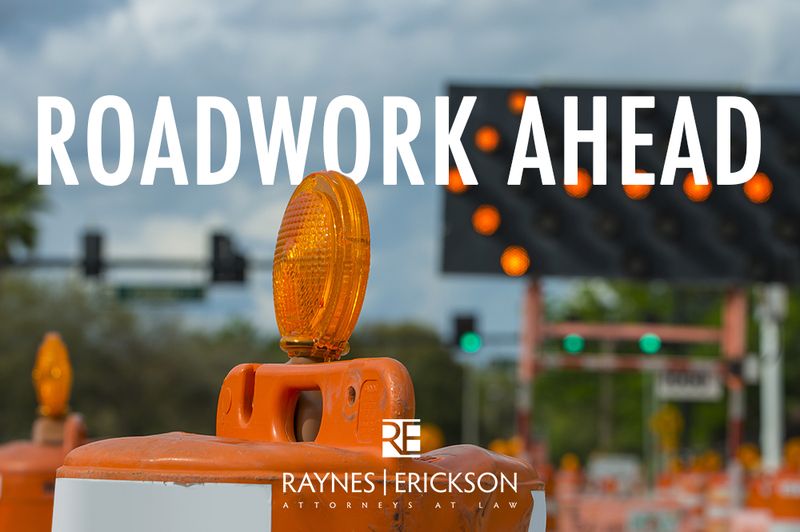 The entities that are responsible for road conditions are expected to keep roads in good driving condition, and the numerous factors involved in a roadwork case can make it complicated. Raynes Erickson, is your auto injury attorney. If you or a loved one has been the victim of a roadwork incident, give us a call today. The statute of limitations could already be running out. Contact us to learn more about your legal options. Do You Need a Lawyer Or Not?